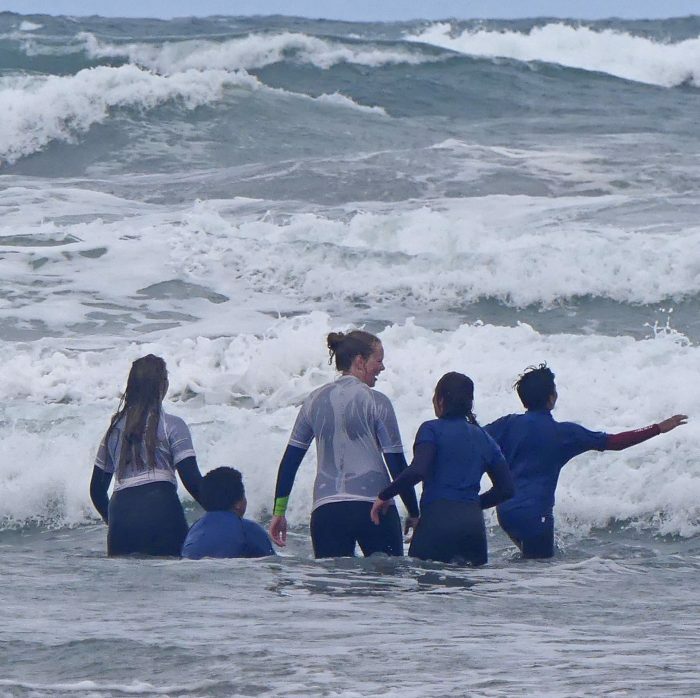 Sarah surfs through her holidays with us in North Cornwall…read about her experiences with the Wave Project! “A few years ago I was on the beach in Polzeath, where there was a Wave Project session taking place. My mum is a Special Educational Needs teacher so she went over to talk to the lady and find out more about the charity and when she came back to tell me I thought it was amazing. I wasn’t old enough to volunteer that year, but a few years later when I was I decided I wanted to try and get involved. 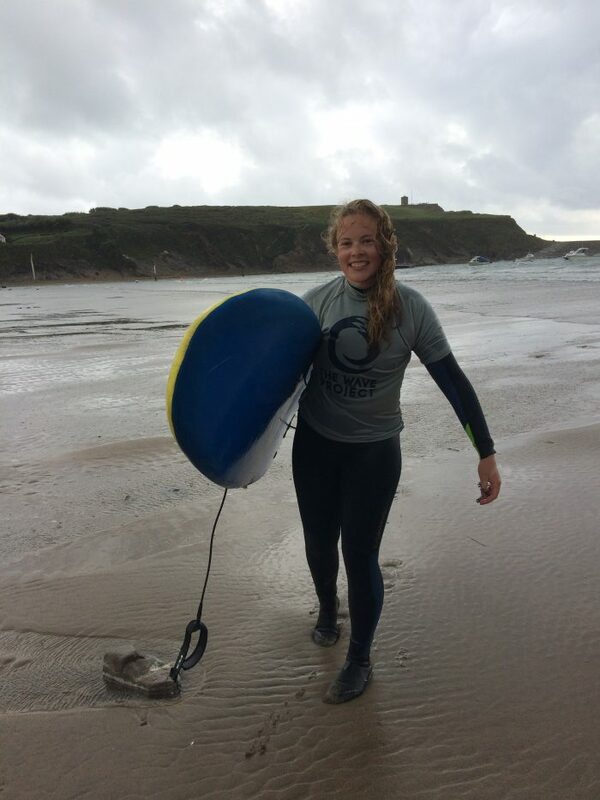 Living in the Lake District I didn’t think it would be possible to just volunteer for a few sessions a year, but when I contacted the Wave Project they said it wasn’t an issue and gave me the details for the North Cornwall Co-ordinator, Svenya. I contacted her and she welcomed me into the Wave Project family and gave me the dates of the sessions I would be able to go to when I was on holiday – I was super excited! Sharing my love of the ocean always has me stoked, so being able to help other people experience it too is amazing and always leaves me with a massive smile on my face😊.